Today I'm SUPER excited to be sharing the beautiful cover of Julie Cohen's new novel with you! It's not out until January, but let's all drool over the stunning design while we impatiently wait for publication date, shall we? Blurb: Can you imagine keeping a secret so devastating, you couldn’t even tell the people you love? Lydia’s secret could bring her love - or the loss of everything that matters to her. One summer’s day, grandmother, mother and daughter’s secrets will collide in a single dramatic moment. Is it too late for second chances? 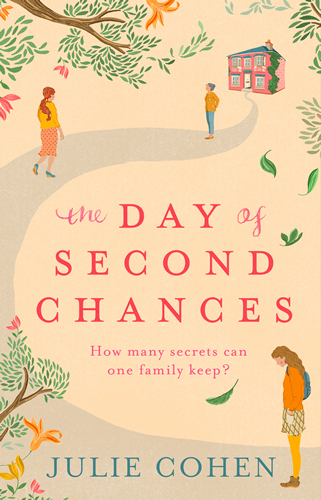 The Day of Second Chances will be published on 28th January 2016, so get your pre-order in now from Amazon or your own preferred retailer!